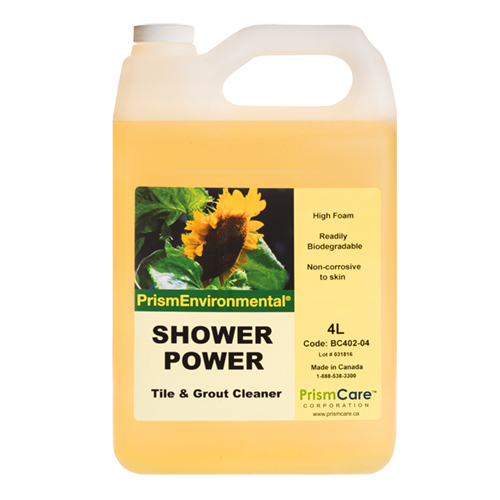 PrismEnvironmental® Shower Power™ is an effective, high-foaming product designed to make an easy job of removing soap scum, hard water deposits, rust stains, mold and mildew. Save time by using it to wipe out dirt and grime across many surfaces–tile, grout, toilet bowls and urinals. Reduce time and effort cleaning large shower stalls and tiled rooms by using a foam gun to apply Shower Power™ quickly and effectively.